So, sit back, relax and be prepared to change your natural hair game. For all the people that gravitate towards straighteners, ponytails or buns to tame your lion’s mane of curls, we understand and get you. You’re talking to the people that have firsthand experience in the ‘I don’t understand how to take care of this,’ process. “It took me 25 years to get to a place of liking my hair,” Buzzfeed video producer Megan Boykoff said. To first love your curls, you have to come to terms with what you have. We know it can be hard. But believe us, once your curls shine, you will too. Trust me, it’s for the better. We’re not saying don’t wash it at all, but just less often than every other day. “Only wash it like one to two times a week with not super-hot water. Washing more than that strips the oils from your hair and dries it out,” University of Iowa sophomore Rachel Mittelstaedt said. Use your products, styling and dry shampoo to your advantage. Once your hair has been washed, treat it how you want it to look. If you don’t put the work in, the curls will not hold up. Start your shower gaps small and mighty, then work your way up. The first day, shower and style it how you want. If it doesn’t hold up well the next day, throw it up in a ponytail, bun or braids. When you do shower but aren’t washing your hair, throw it in a loose ponytail or bun—the water will still hit it and rejuvenate the ends. Then, when you do wash it, the hair will grab onto and absorb your products more. Well, if you can stand it. Rest assured, we’re not saying to turn your shower into a frozen tundra. Once you begin shampooing and conditioning, flip your water from hot to cold—or at least something less than lukewarm. With this temperature, your products will react to your hair better. Cold water will close the cuticles and pores in your scalp, adding more of a luster and shine to the hair. It also seals in the hair’s moisture—helping to group together curls (think less frizz, more coils). We all know how a great a nice hot shower sounds at the end of the day, so this may be a tough feat to manage. But, hey, if all your roommates used up the warm water then you have nothing to worry about. Everybody’s curls need something different. Some need anti-frizz, extra moisture or freedom to do whatever they want. Your hair turns into a second job by constantly keeping up with it. One day, it’s super moisturized and looking great and the next it’s ‘dry city.’ The only way to figure this out? Trial-and-error. Yes, googling treatments or recommendations works but everyone’s hair reacts differently to different products. What works well for one person may not work well for you. And that’s okay. If we all needed the same products, there wouldn’t be an assortment at all.“So, personally, I use keratin treatments because my hair is so coarse and frizzy, so it makes it smooth and more relaxed,” University of Florida senior Krysten Floyd said. All curls are unique, so let’s treat them that way. Start trying products or do some research first on what people with hair like yours do. If one product doesn’t work out, luckily there’s thousands more on the market, so keep looking. Believe us, we know this sounds crazy. Being able to just place product wherever, wash it out, and dry it sounds ideal, right? Wrong. To get the most of your products and hairstyle, be aware of where you’re putting that on your scalp. Place your shampoo only in the roots of your hair. Once the water hits it and you tilt your head back, the shampoo will wash the ends on its own. With your conditioner, ‘scrunch’ it on your curls by grabbing a handful of your ends and push them to your scalp. “I scrunch my curls to form and group them,” University of Arizona sophomore Bella Cox said. By ‘scrunching’ them, your curls will group together and not be as frizzy—making them better defined. We’ve all been in the store, staring at all the different hair care products with varying labels, prices and purposes. It’s overwhelming. Most often then not, you’ll grab the first product that sounds decent or has cool packaging (or is that just me?). “Get a good conditioner made for curly hair,” Floyd said. But what kind? The ‘curly community’ has come to save your life and bank account. “I love ‘Not Your Mother’s’ if you don’t want to spend too much money, otherwise BB Curls or AG Hair Care are great,” University of Iowa sophomore Allie Rowell said. Curly hair care products can be pricey. When everything has a decent price tag, don’t worry about spending your whole paycheck on one or two great products. Try to figure out what pricey products you can mix–and–match with cheaper products. “I spend 30 to 40 dollars on a good leave-in conditioner and buy cheaper shampoo and conditioner from Target without alcohol,” Cox said. If it works for you to ‘dip-your-toe-in-the-water,’ with cheaper —do it. Then slowly work your way up depending on how your hair reacts and the more familiar you get with your curls. If the products still give you anxiety, then stick to investigating the labels. Regular shampoos and conditioners can contain harmful ingredients that will hurt the curls and natural moisture in your hair. “Look into sulfate free shampoos, because sulfates are harmful to coarse and curly hair. It strips your hair of its good proteins (keratin),” Floyd said. Instead, look for products containing shea butter and castor oil. Remember, you want it to be as healthy as possible. Finding out exactly what you’re putting in your hair is the first step. What’s the most important thing with your products? Controlling your curls, however, you can. After you’ve washed your hair and it’s still damp, get some more product in there to keep your hard work in place. For instance, leave-in conditioners, gel or coconut oil can work as leave-in products. “I dry my hair a little, so it’s not dripping wet, then I comb leave–in conditioner through. Then, I put in a cream or gel to keep frizz down and keep the curl in,” Cox said. Don’t love the idea of leaving products in your hair after you shower? By using it, you give yourself a little control over your hair—where it goes, how it moves and what it’ll look like. Without it, your hair will be free to move wherever it pleases. 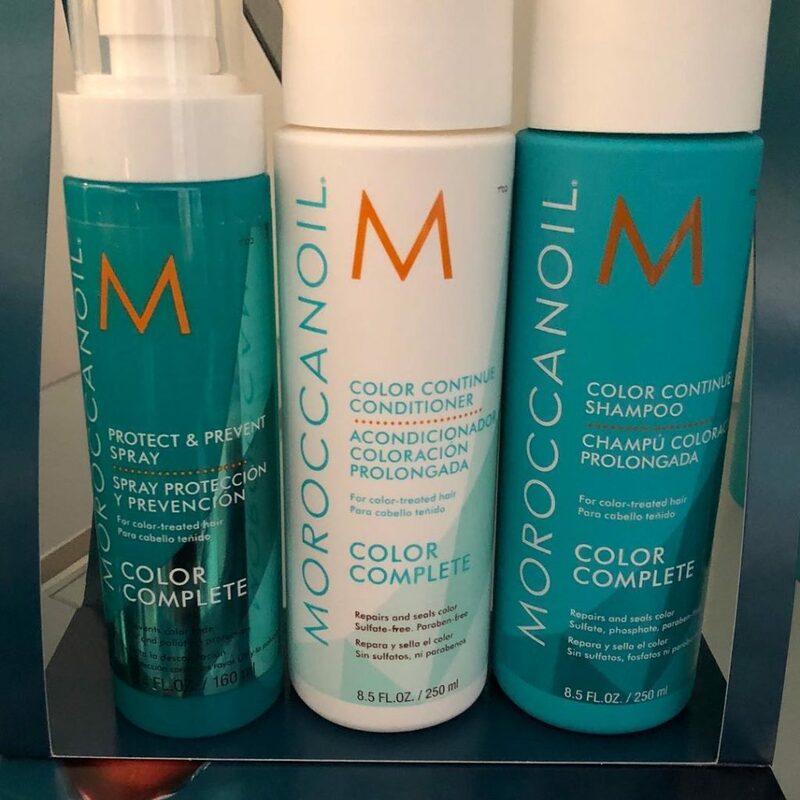 Adding this into your shower routine is fairly easy, so it could be an easy introduction into the ‘curly girl community.’ Just place your products by your sink or next to your shampoo and conditioner, making it impossible to forget. If you don’t already have a microfiber towel, grab your keys and drive yourself to Target right now. 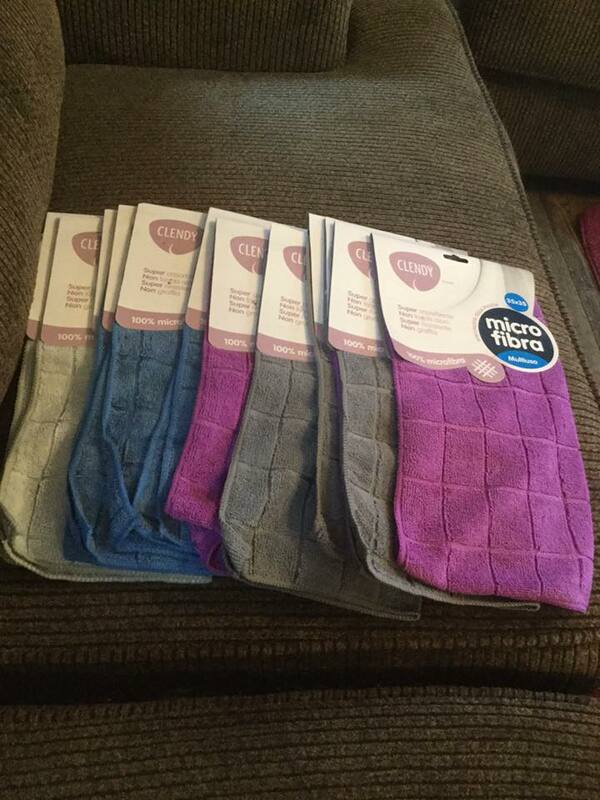 Not that cotton towels are bad for your hair, microfiber towels are just better. Filled with densely packed fibers, provides a smoother drying surface and prevents breakage—what else could a girl ask for? “Use a microfiber towel to minimize frizz and wrap hair in a Cotton T-shirt overnight to keep them intact,” Mittelstaedt said. To stop dry and brittle hair, invest in microfiber towels. And what else? It cuts your hair drying time in half. Whatever you do, do not shake your damp hair dry with a towel. Big curly hair no-no. Okay, so you just got out of the shower and have sopping wet hair—what now? Steer clear of getting your towel and shaking it dry. Using the same scrunching method you did with your conditioner, get rid of any excess water and lock some of that product in. What about a hair dryer? Well, using that will at high heat will give you a sort of a tumble-weed, frizzed out vibe. If you’re planning on straightening immediately after, this may be the route for you. For others, it’s recommended to either air dry, style and sleep in your curls or blow dry at a low to medium temperature. For blow-drying, you should have your hair upside-down and use the same scrunching method as before with your hand, an attached diffuser (they’re a bit pricey) or place a sock over the nozzle as a diffuser. The downside of all this is it takes time. Curls do what they want when they want, and how they want to. Just keep the clock in mind with whichever way you prefer to dry your hair. Never, ever, no matter whatever you do with the rest of your hair, pick up a hairbrush. “Never tell a girl with curly hair to brush it,” Mittelstaedt said. By doing this, your hair will inflate to form frizz. In no way will this highlight your natural curls. Instead, it will intensify their inner-crazy. “If you brush it, it destroys the curls and you just end up with a frizzy lion’s mane,” Rowell said. If you insist on going through your hair somehow to get out the knots, use a wide-toothed comb. It’ll keep your curls grouped together while not damaging their shape. You could always shower at night and sleep in your wet hair to save a bit of your time. “I always shower at night and then put in my product in my wet hair before bed … That lets it dry overnight and you don’t have wet hair when you leave in the morning,” Floyd said. Leaving your hair in braids overnight gives it an already styled look in the morning, cutting down your morning routine in record time. It’s also beneficial so that it isn’t tangled when you wake up. If you want that ‘I just curled my hair’ look without all the damage, braiding your hair at night is the best choice. To make those curls last, styling your hair becomes a priority. Because you already have all the products to bring out your beauty, show those curls to the world. Flaunt them in their full form, do a half-up-half-down, braids or even a ponytail. If you’re trying to stretch your hair so you don’t have to wash it as often, think ahead for how you can style it each day. For the first day, bring out your natural curly form, then a half-up, bun or ponytail. Variation makes your hair look healthy and hides what’s maybe frizzy or isn’t holding up to its true form anymore. You could also resort to styling it with a straightener or curling iron after this to make it last longer. Before you know it, you’ve gone a week. Sure, your hair will now be screaming for a wash, but it will react better to your products after a long period in between washing. Do you love the style of a good high pony or a bun? Keep in mind your hair ties—or lack thereof. Normal, small hair ties will break your curls up. 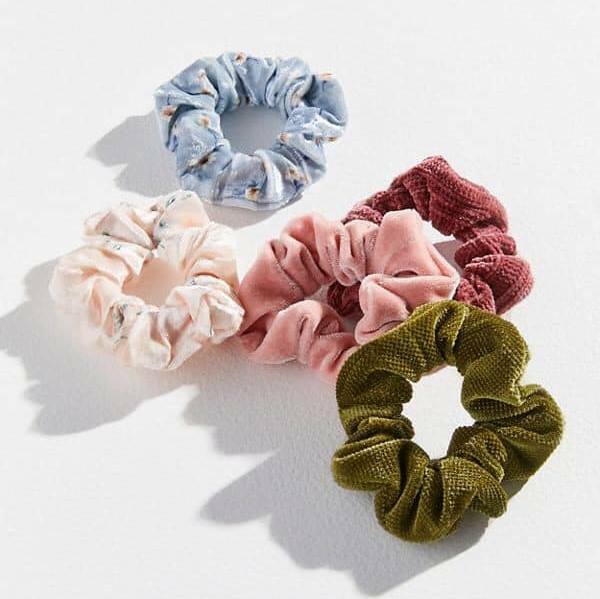 To keep this from happening, treat yourself to some stylish looking (also cheap) scrunchies. Not only do these treat your curls better, but they also give you an instant 90’s vibe that never gets old. Everyone with curly hair knows that your hair will never, ever look the same every single day. Sure, it’ll look similar to how it was or take the same shape, but your curls will never take that same form, sit the same or react the same to your products. With that said, when you’re having a good hair day, take a dozen pictures. Flaunt your style, your looks and most importantly your curls. If you start incorporating a new product, it’ll help to take pictures of it in prime form (right after it dried or immediately after styling), so you can compare it and see what it does for you. Besides, who doesn’t love having a photoshoot of a good hair day for Instagram? Next time you go to describe your curl type to someone, don’t just say ‘wavy, bouncy or firm.’ Instead, say ‘4C,’ ‘2A,’ ‘3B’ or wherever you fall. Let me explain: There are four levels of curls and each level has about three types (A, B or C). 1A meaning bone straight hair and 4C being very curly and thick hair. Think about Sandra Bullock’s straight hair in comparison to Lupita Nyongo or Viola Davis’ curly Q’s. It’s important to consider things like your genetics, race or ethnicity when categorizing your curls. This system makes it easier to sort curly hair into categories instead of an over-arching idea. It doesn’t hurt to get to know the curls you have. Remember, knowing too much is never a problem. So, start by doing some research: Google searches, YouTube videos, articles galore. If you can’t find anybody online that relates to you, get that hands-on opinion of a stylist or even your family. The more information the merrier. Hair needs moisture, it’s a known fact. “Keep it moisturized at all costs,” Mittelstaedt said. With it, your hair will hold onto its natural nutrients. This will make it easier to maintain, style and gives you and your hairdresser an easier job. Castor oil or coconut oil do a great job complimenting curls and eliminating dry hair. Recommendations say to apply these products daily to every other day, depending on what you need. A pre-shampoo will also help here. If you’re willing to shell out on a pre-shampoo, it’ll work as a protective base before you clean your hair. At a lower cost, a leave-in conditioner works about the same. 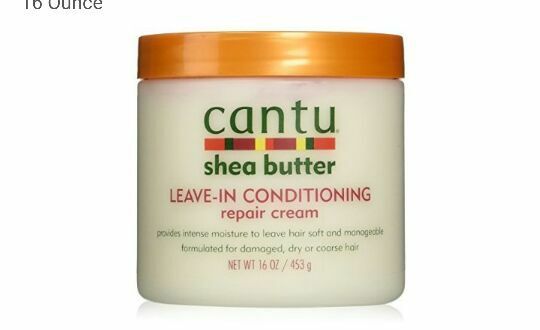 Instead of being a base, it’ll restore and prolong the moisture in your hair. No matter what you do, just treat your hair the best way possible with moisture and protection from humidity. If you hate doing your routine, then there’s no point in doing it. Taking care of yourself should make you happy and how you look should reflect that. If you and your hair are in a love-hate relationship, experiment until you love it. After all, it’s the person on the inside that matters. Yes, curls are a pain to take care of, but your hair equals a part of you. Make it reflect the person you want to be: strong, powerful and unique. Again, make it something that makes you happy. Keep in mind finding something that’s easy for you. If you hate what you have to do, it makes you unhappy and the routine isn’t convenient, then don’t do it. To guarantee your own success, know what will be easy for you and follow through with. For instance, pre-shampooing or using leave-in conditioner around shower time instead of moisturizing. Find a routine that works for you and make sure you can and will do it. Set your new products next to your bathroom sink, shampoo or easy-to-find spots, so you’ll have no chance but to notice it. Make it hard for yourself to not proactively take care of your curls. Don’t keep yourself alone. You’re bound to have questions Google won’t be able to answer. Go out there and find people who can. Find some fellow curly haired friends or experts that know what they’re doing. By doing this, people are able to see your curls in person and what your hair needs to be flirty and thriving. “My coworker told me about ‘DevaCurl.’ I went to their salon and a stylist told me exactly how to take care of it. I had been getting my hair cut wrong my entire life,” Boykoff said. You don’t know you’re treating your hair wrong without going out there and getting told so. Don‘t worry about being wrong. Life’s about mistakes, and especially curly hair life mistakes. Think about it this way—we wouldn’t know how precisely to style hair without experimenting, trying new things and making mistakes along the way. You know when you have a ‘gym buddy’ and makes things instantly better? Find a curly community. The big, wide world has so many curly haired people that can relate to you. Think about it: everything you’ve struggled through, have questions about or don’t know what to do. There’s even FaceBook group-chats you can join for suggestions, products or just people who understand what you’re going through. Many YouTubers have been going public about their ‘curly hair journeys.’ Pull up one of their videos to follow how they solved their problems. No matter where you go, know other people can help you see the beauty in your hair. Your inspiration = determination. Find a celebrity you can relate to, or a character from a movie. Try country-days Taylor Swift or pre-Paolo Mia Thermopolis from The Princess Diaries. Find your hair goals and start for your journey. Do you want less frizz, control over your hair or volume? Try to make it something easy and guarantee yourself a success. Something such as ‘I want to take an Instagram picture of a good hair day,’ or even ‘I want to be happy with my hair.’ Give yourself that one thing to fuel your haircare journey—guiding your curly hair acceptance to not other people, but yourself. Girl, your curls are beautiful and so are you. What’s the best way to style your curls? Not with products, scrunchies or braids, but with pure confidence. Confidence is key, and girl, you got it. You will always have curls. Unless you devote the rest of your life to straightening or hiding it, it’ll always be curly. If you find yourself struggling with this, it’s okay. No one truly ends their curly hair journey. The truth of the matter? We’re constantly trying to keep up with our curls—there’s no end. No matter how much we care to admit, we’re constantly changing our routines, buying new products or treating our hair differently. Remember you’re never alone in this journey. As soon as you ask for help, you’ll find a whole curly hair community waiting for you. Why do you love your curls? Still not sure about how beautiful curls can be? I love my curls because they make me unique. Only recently have I worked to embrace my natural hair, and I’m loving the process. I’ve loved seeing how my curls respond to different products, but also different styles. I love the days where my curls are feeling themselves, which boosts my confidence and attitude throughout the rest of the day. Nobody has the same curls you do, and nobody is the same person as you. Nonetheless, here’s peoples answer to the question: Why do you love your curls? “Because there’s more I can do with my hair and they give my hair volume,” Rowell said. “I have 3B curls—Pretty in Pink, Julia Roberts or Sarah Jessica Parker. I love my curls because they change depending on the weather, my hair length and what I decide to do with it, they are their own entity sometimes and people compliment them. It also connects you to other curly haired people and that’s beautiful,” Cox said. “My curls are a good representation of my personality: enthusiastic, big and creative. They’re fun. They make me who I am,” Boykoff said.